Is treatment at the 3D clinic in China the only realistic BPH solution? So you’ve accepted the 3D paradigm that calcifications and infections are the cause of BPH (and prostate cancer?). What happened to the prevailing theory that BPH and prostate cancer are hormonal imbalance conditions caused by too much estrogen and not enough testosterone as men age, helped along by the hundreds of thousands of endocrine-disrupting industrial chemicals in the environment? How can a short course of needle injections permanently cure a hormonal imbalance? Both mainstream and alternative medicine agree that prostate problems are hormonal, not infection-based. 3D is the only institution apparently making claims that prostate problems are non-hormonal in nature. Why would infections be localised in the prostate gland? Do we ever hear of infections of the other organs causing major problems? Why only the prostate organ? It is possible to chelate or otherwise remove calcifications from the heart and other areas of the body. So why wouldn’t it be cheaper and easier to undergo inexpensive decalcification rather than spending $50,000 and six weeks in China? Why isn’t it possible to cure prostate infections, if they exist, with a general antimicrobial treatment, such as olive leaf extract or oregano oil (and there are many others)? Did you know that just smelling celery raises your testosterone level? I have recently made a list of 93 foods, supplements, and herbs which are hormone balancers, aromatase inhibitors, and 5-alpha reductase inhibitors. They are supposed to be effective at reversing BHP enlargement, lowering PSA, and even curing prostate cancer. The pharmaceutical alpha blockers also reverse prostate enlargement in at least a third of patients. How can these hormone manipulators be effective if the true causes of BPH and prostate cancer and prostatitis are infections and calcifications? 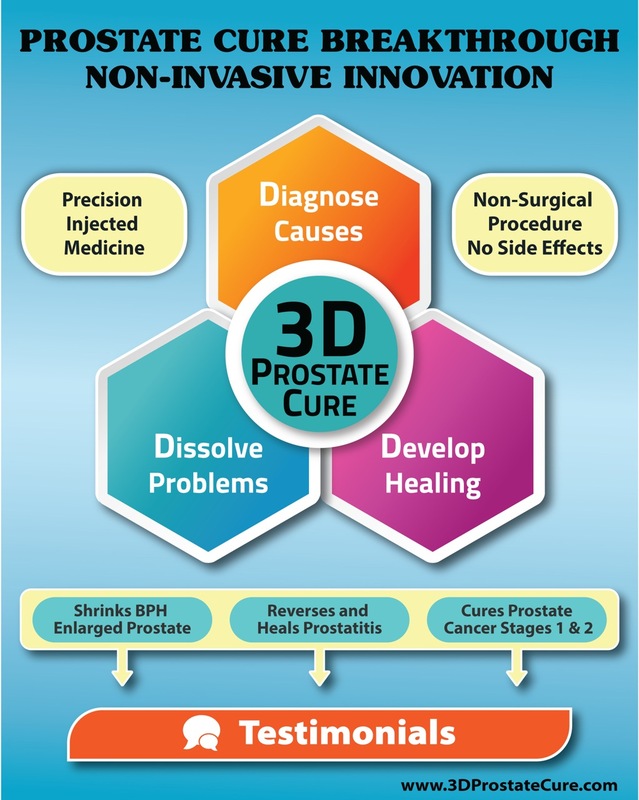 I believe the cause as claimed by 3D can be simplified to just infections, since as you have explained, once 3D eliminates prostate infections, the calcifications resolve themselves. 3D appears to be the only prostate specialist which claims that prostate problems are caused by infections. 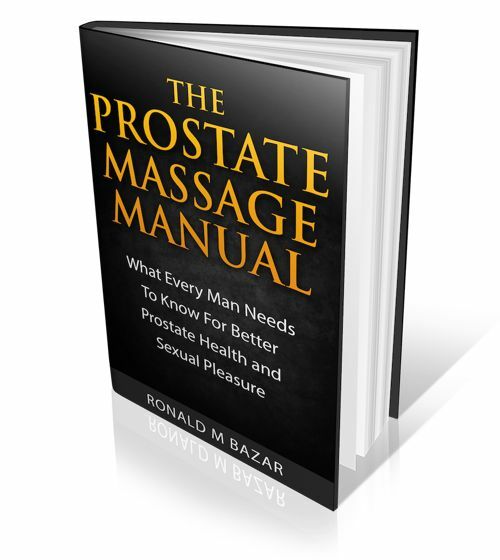 All the other studies of prostate disease work on the premise that the problem is hormonal. Can 99.9% of medical researchers, both mainstream and alternative, be so mistaken? Your response would presumably be that 3D has a 95% success rate, and so the proof is in the pudding. But has this 95% rate been independently audited? In western medicine, if you have a successful medical innovation, you describe it in peer-reviewed medical journals and train other doctors so that the successful treatment is available everywhere. Innovation without sharing is not allowed, and claims of success must be reproducible by other practitioners to validate claims of success. None of this is happening in the case of 3D. It may well be that 3D is right and everybody else is wrong, but odds are (99.9% to .1%) this isn’t the case. You have given the impression that you have lost confidence in everything you advise in your books to actually cure BPH and prostate cancer. You may well be betting on the right horse in 3D, but I am naturally suspicious about any medical institution that charges so much for its treatment as 3D does. It suggests that the institution is more interested in wealth than in healing people. It’s a lot easier to put your faith in an institution that prioritises healing people over wealth-building. From what I understand, the typical 3D treatment is about 30 days of a brief daily injection once or possibly twice a day. How can 3D justify charging so much for this minimal patient time, which doesn’t even include hospitalisation, in the low-wage Chinese economy? How is 3D any different in this respect from western pharmaceutical companies with their profit margins in the hundreds and thousands of percentage points? I would appreciate your comments on my reasoning. You are always reasonable. It’s just that you’ve written two books in which you guide men to prostate health, but you’ve apparently lost confidence in your own alternative health plan and seem to see 3D as the only effective resolution of developed prostate problems. What about all the natural hormone balancers, aromatase inhibitors, 5 alpha reductase inhibitors, and estrogen disintegrators and eliminators? Are they all impotent or inadequate to what is required of them? I would appreciate your clarification of your position, as I am confused. Most urologists have no true idea of what causes them. Most say aging is the cause at least for BPH. But as I have explained in my books, that is not the case because men in traditional cultures with healthy natural diets do not have anywhere near the same conditions. Some say hormones can affect the prostate if they are too high or too low; some say testosterone is the problem if it is too high or too low. Dr. Song of the 3D Clinic posts many causes on his website… that result in infections and enlargement of the prostate. I certainly over-simplified my response before, but the result is the same — a troubled prostate gland. I would suggest a complete study of the information on his website to learn more about the causes and how they manifest. The Western distinction between BPH and chronic Prostatitis does not have such boundaries according to what I have learned from Dr Song. In my case I had been diagnosed by several urologists as having BPH, with never a mention of Prostatitis. But if you study my medical report that is on the 3D site (and others) you will see that my BPH problem may well have been caused by infections and pathogens. In any case, Dr. Song and the clinic treats what the evidence shows, and the results can clearly be seen in the images of my prostate fluid before and after. He has many times explained that my endocrine system is weakened and that has affected no doubt my hormone balance. In my books I write about the terrible toll our diets have on our health overall and on the prostate in particular. Perhaps one will never know fully all the original causes of prostate disease, but for me my poor diet and exposures to toxins must have played a huge part. I was on the soy is wonderful and meat is bad bandwagon for decades, and we now know that soy can increase estrogen levels in the body and toxins can trigger all kinds of reactions as they accumulate. That is why my primary focus is on diet in the broad sense to encompass all our daily inputs of food, water, medications, dental fillings, body and household care products, stress levels and sleep patterns as the most controllable part of our lifestyles… these are the building blocks of good health or the underlying determinants of our diseases. Dr. Song also lists exposures to sexual diseases and other original causes. My primary focus has been on prevention. I have learned too that once the prostate has been badly infected, natural diet and supplement treatments just may not be enough to overcome the prostate problems. In the end, in my experience with my website, many men have tried western treatments of medications, supplements and surgeries with not very happy results. Urologists today do not even look at prostate fluids to see the infections inside the prostate gland. To me this borders on malpractice because how can they treat a disease properly without adequate diagnosis? They are only interested in symptomatic treatments. That would be fine if there weren’t side effects. I have had cataract surgery and replaced lenses because the treatments seems to have minimal side effects… so I am not anti-medical intervention if it helps and has minimal side effects. Not the case with most prostate treatments. The evidence is there clearly when you go to the clinic and see both what is inside your prostate and your blood through the extensive testing for viruses and bacteria. Dr. Song’s brilliance in my opinion is his clear understanding and diagnostic ability to determine what is really going on inside your prostate. This is done not just through the lab testing but also through his amazing mastery of digital rectal examination and massage. Western urologists just are amateurs compared to him, again in my opinion but shared by many patients I have talked to there. As to the costs, you have exaggerated those. $3000 per week of daily examinations, discussion and treatments of such expertise are not excessive. Have you seen the costs of Gat Goren treatment for BPH? And seen that it is one procedure not done daily over weeks? Or other high tech treatments? His clinic is not out of line given the often extremely complex cases the clinic treats. Dr. Song can only see so many patients a day and it is not easy work that he does at all. The injections are so precisely delivered, and to different locations each day. Because his approach is unique and revolutionary and new to both the western oriented Chinese medical profession and Western ones. I have tried to post on several medical prostate sites but have been blocked. I don’t think urologists want to know how deficient their approach has been. To not examine prostate fluid in any diagnosis is at best oversight. Of course the type of treatment the clinic does is not what urologists want to do… days and days of expert treatment with prostate manipulation through DRE and injections of needles into the prostate is not what they and most patients want. Fast treatments with very high tech equipment is what the industry wants and patients expect. For Dr Song to present findings to the peer reviewed urology world will no doubt one day happen. There are big challenges of language, culture and approach. The 3D Clinic is for those who do not want the risks of western treatments, or have not had successful outcomes and are prepared to travel and sacrifice time and money for it. Continued in Comments because of length restrictions. Comments for Is treatment at the 3D clinic in China the only realistic BPH solution? Dr Song’s current focus is on treating prostate cancer and has been very successful if you look at case histories on the site. I have seen the results of 2 patients while I was there. Both were stage 3 at least and have had full recovery. He continues to research to constantly improve what he does. Some extremely complicated cases require more than one round of treatment. I am one of them because I had a prostate artery embolization treatment which I wish I never did. It did not help me, reduced the needed blood flow to my prostate making it extremely difficult to discharge the debris from the treatments at the clinic. The debris can only be absorbed slowly over time because of the restricted blood flow. Other complex cases are a real challenge as in a few rare cases where the prostate has enlarged deep into the bladder neck area where it is too deep to get needles. I know he is researching ways to help with this, but he had never seen cases like that in his 30 years until recently. Other cases are made very complex because of prior TURP or other interventions. Again, please spend hours reviewing the vast amount of material on his website including testimonials and case histories. If you have not been successful with your current urologists then perhaps the clinic can help. It would be best to submit all your medical information and questions directly to the clinic to see if they can help you. In the end each man must decide what is best. You may have a complex case. Simple ones are highly successful. Complex ones require more time and commitment of your time, energy and financial resources.